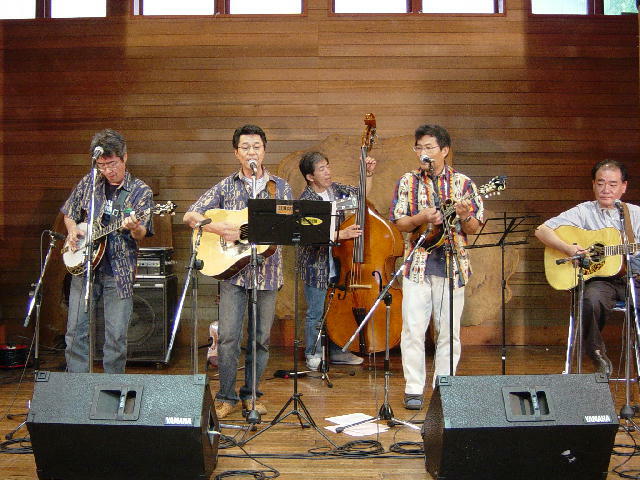 It is a first performance at hotel "TENKOUEN" of Higashiyoshino-village Nara. The admission fee was only a lunch charge. 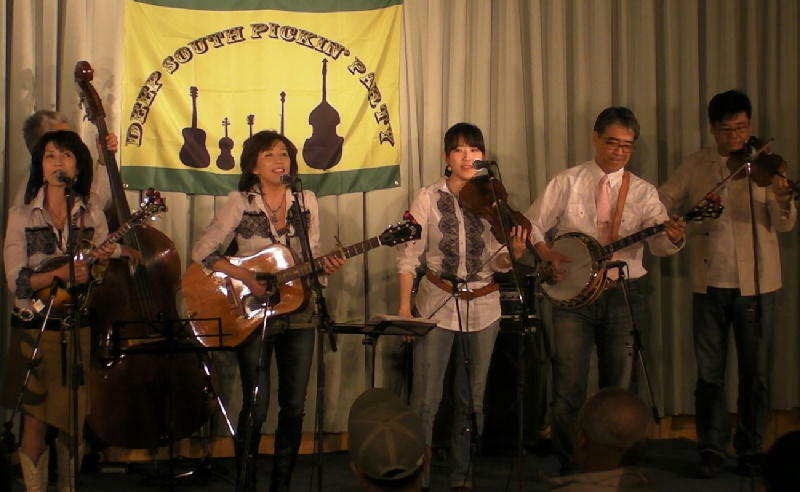 The 2nd time is also performed in Higashiyoshino. 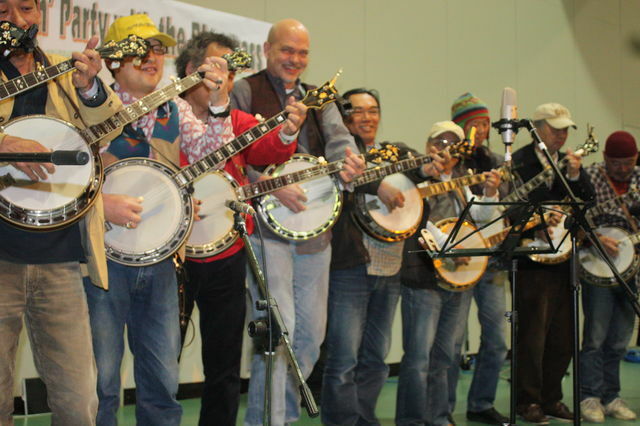 Famous Banjo player Hiroshi-Yoshizaki and Jam. 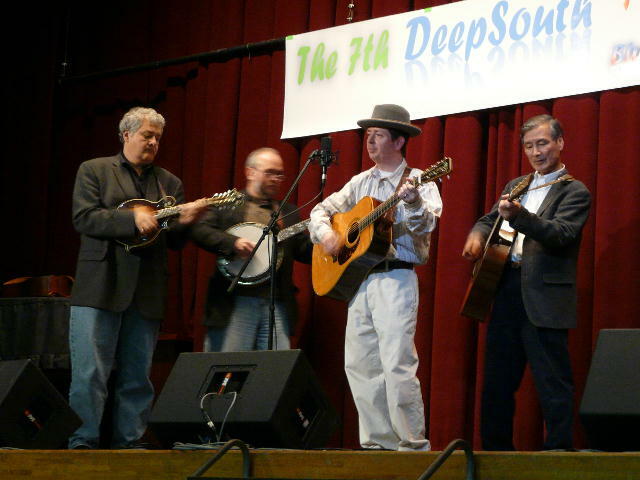 The wooden halls are best fits as bluegrass. 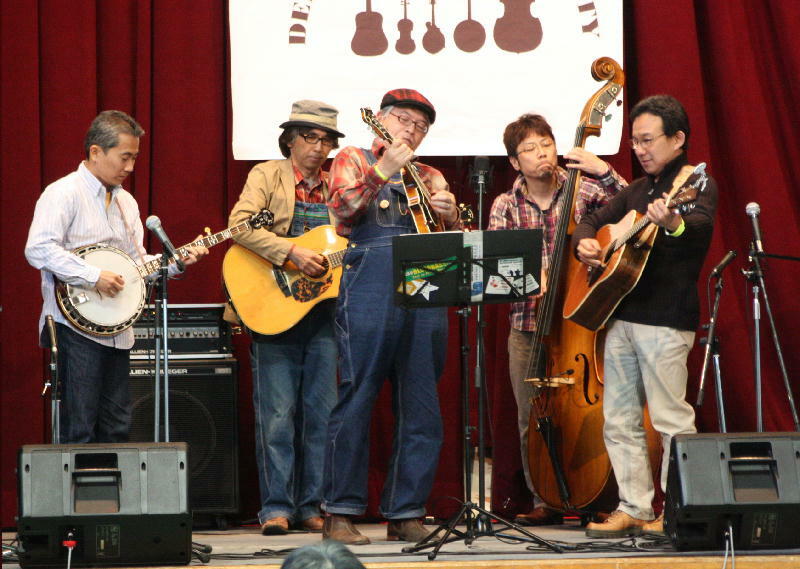 Various performance was performed in Albol. 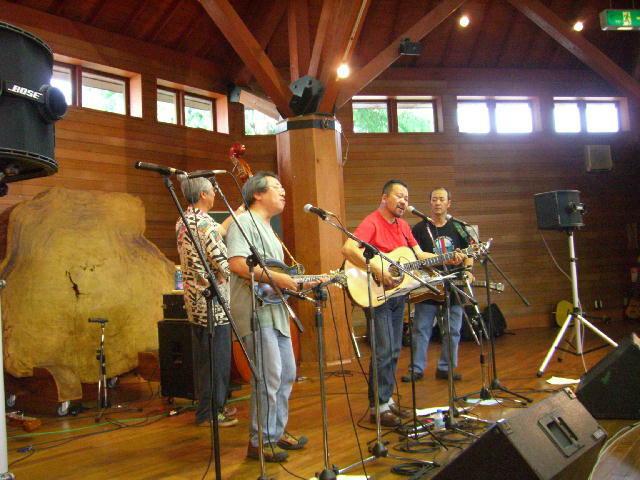 There were not only bluegrass but a country and the folk song duo. 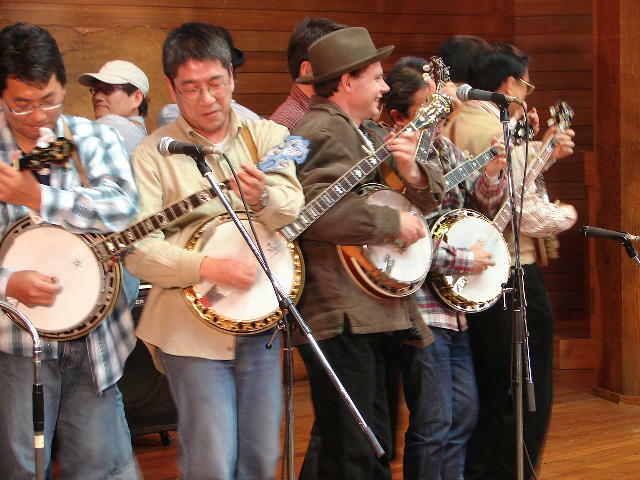 The performance of Chain Banjo(Banjo tying in a row) began from this stage. 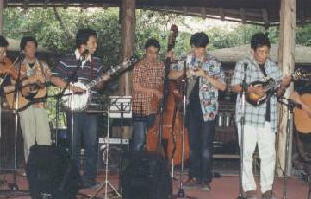 The 6th time is "Chris sharp Band"
It was set to one of the national tour. The hall is changed from the 7th time. 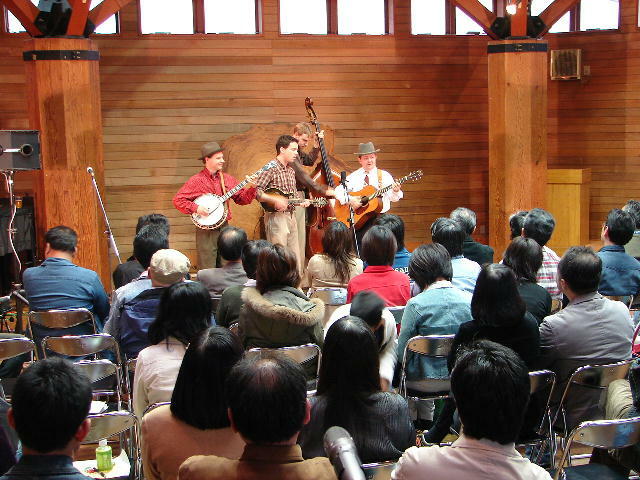 In the Nara social education center in Nara Katsuragi A guest band, the Chris sharp and the Sakura tour band. A field stage is interrupted by a storm. Hurriedly, it changed into the indoor hall. 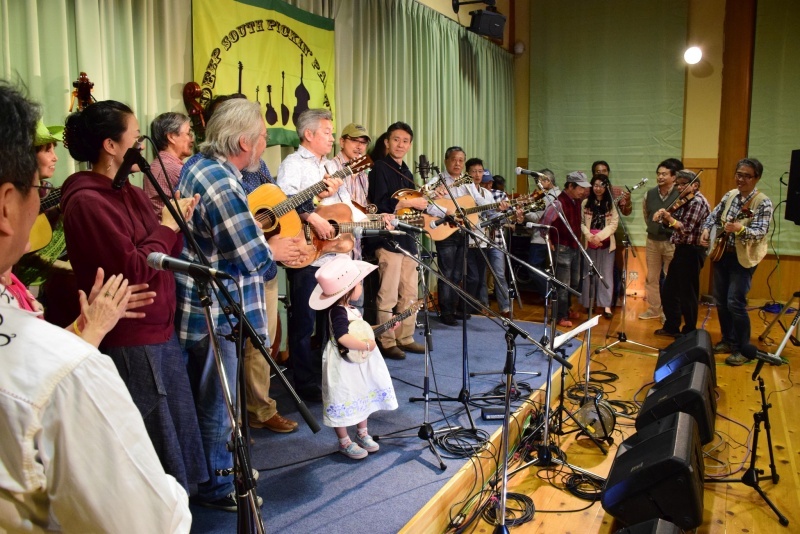 The 9th festival did not call a guest. However,it rose by the performance of many bands. 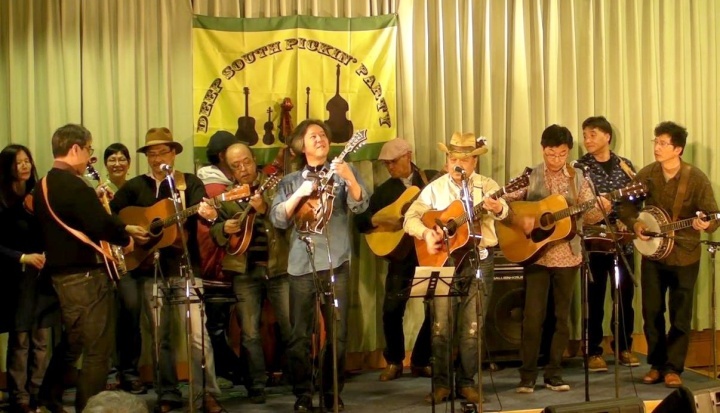 It is Shin-Akimoto's "Doya-Gao!" performance. The schedule of the 10th anniversary concert was changed. 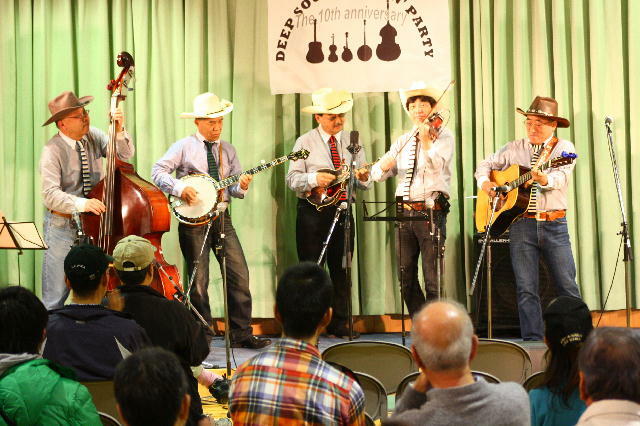 It held as a charity concert of a Tohoku district earthquake disaster. 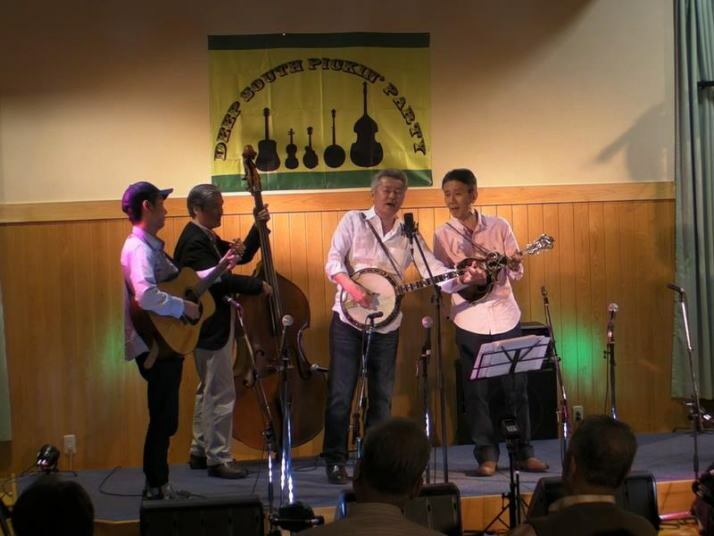 Tim Wetmiller of Fiddler which is traveling Japan from Seattle participated. 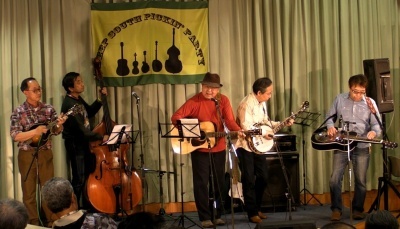 It was a very good performance. WIC all stars participate in great numbers each time. 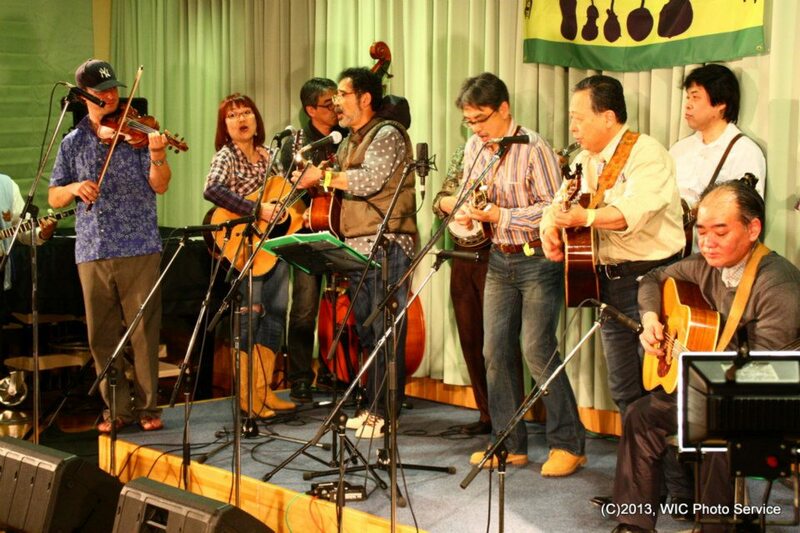 Grass HoppersThe long-established store band of Wakayama which participates from the 1st time almost every year. 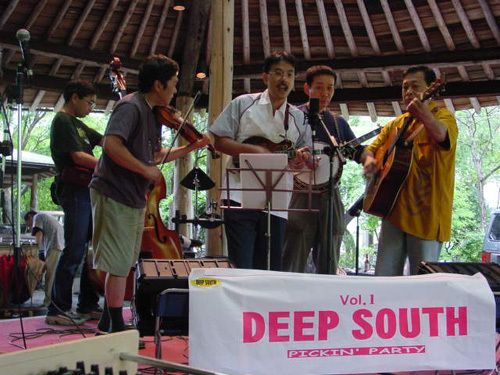 Guest is "Yagitako" & "Instead of Net" . Viewing public increased in number. 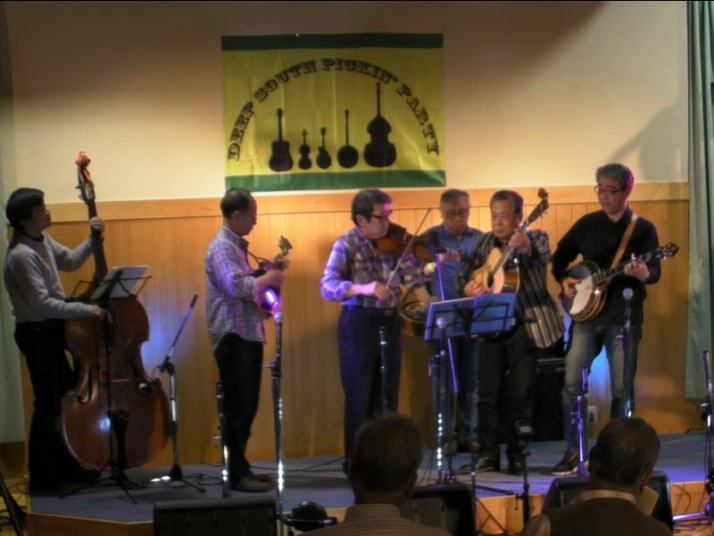 The long-established store band "Good To Blue" and "DSMB" of Nara are perfect attendance at this event. Inaba Brothers appearance.